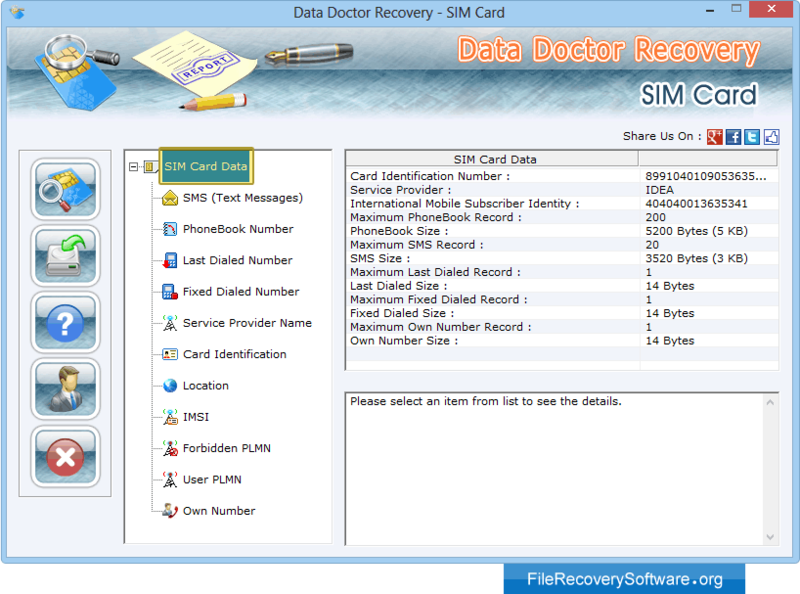 Sim card data recovery software recover lost or deleted important phone book saved contact numbers and text sms from mobile phone sim card memory. 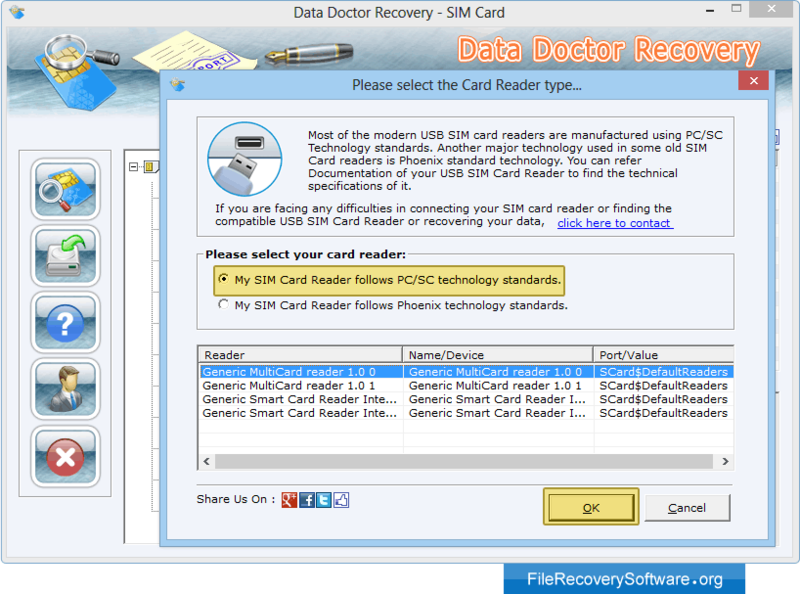 Utility facilitates data loss and salvages all deleted or lost text sms and contact numbers even when accidentally corrupted due to many common reasons including: Accidentally deleted sim card stored entries using delete button, Virus infected sim card, Logically corrupted sim card, Improper sim card management and other similar reasons. Software display all general information of mobile phone and sim card including: Text messages from inbox, outbox, draft and sent items, Phone book saved contact numbers, SIM card service provider name, Mobile phone IMEI and IMSI number etc information. Software supports all major 2G, 3G sim card of any country any network location whether the number in subscription status or not. Utility reads sim card of any country/network service provider whether number in subscription status or not. Select your card reader type and then Click on "OK" button. 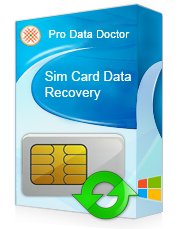 Select SIM Card data to view the recovered details of Sim Card. 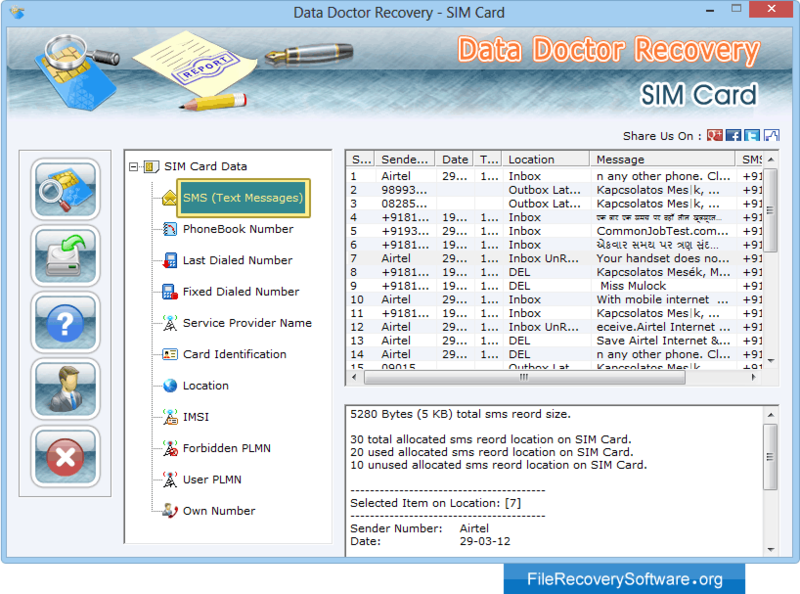 Click SMS (Text Messages) to view recovered text messages details. 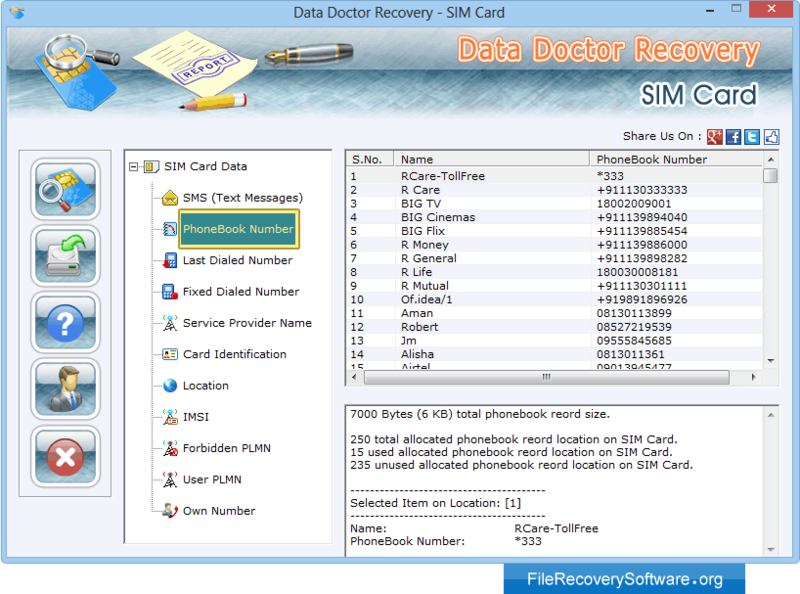 Click 'PhoneBook Number' to view recovered phone book number details.